Teacher Belly demonstrating to the children. 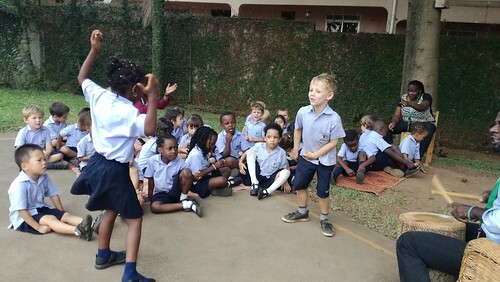 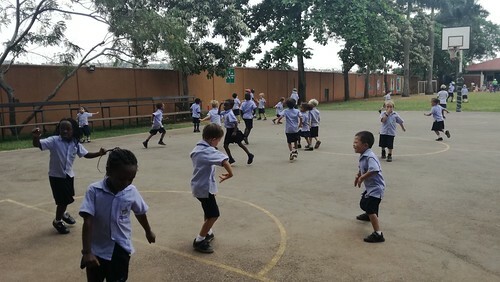 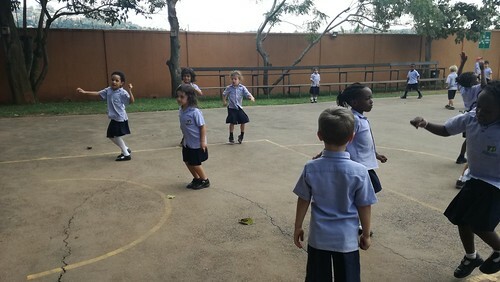 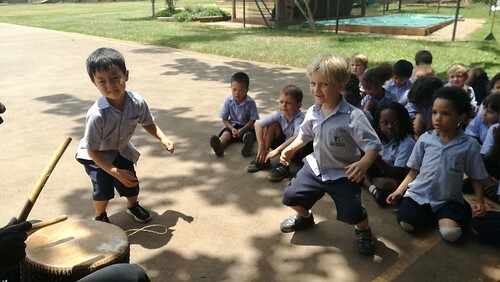 Friday afternoon is one of the children’s favourite afternoons in Reception. 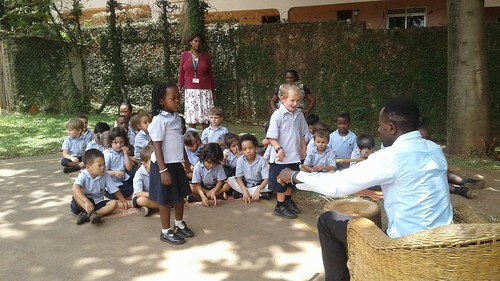 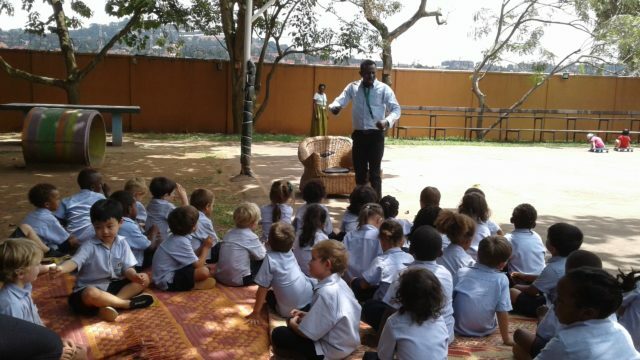 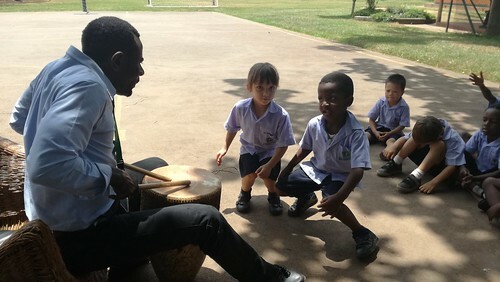 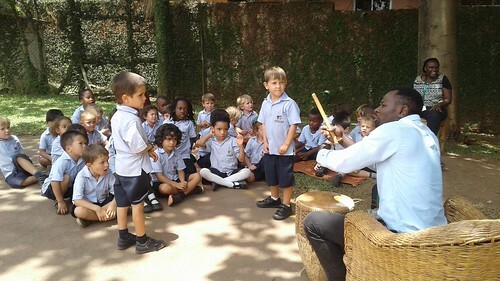 Children get to dance to the drum beat played by one of the funniest and likeable teachers, Teacher Belly. 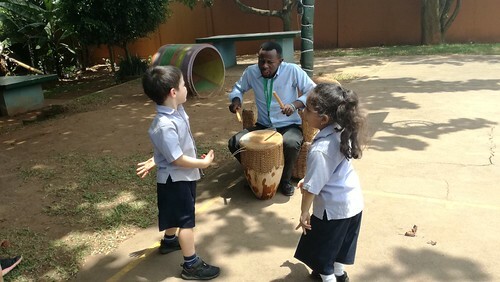 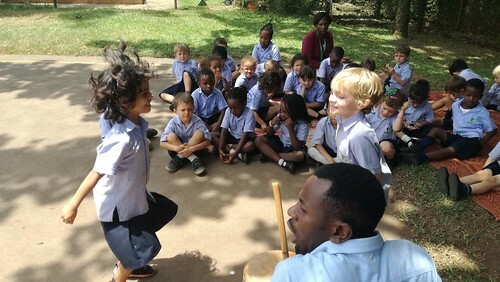 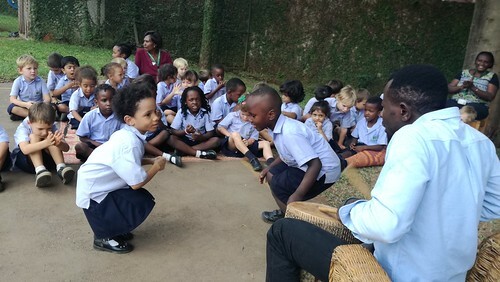 Children joyously and expressively dance to the rhythm and in style, jigging and shuffling to the drumbeat with no hesitation about how they appear. 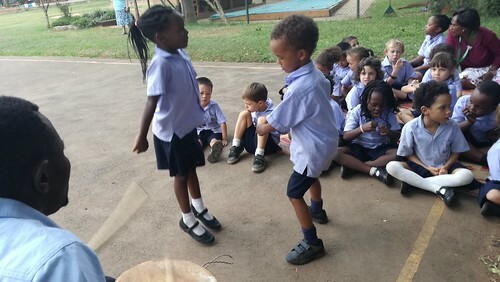 Children build social skills through dancing as a team and getting to know their dance partners to enable them to both coordinate together. 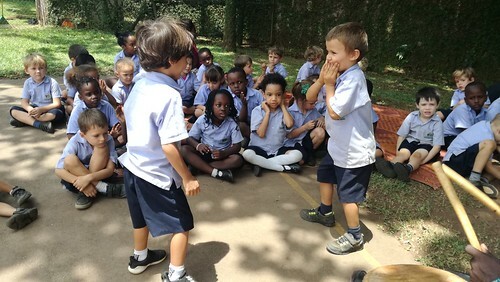 The less confident children learn to come out of their shell somewhat while the bold ones learn to tone it back when needed. 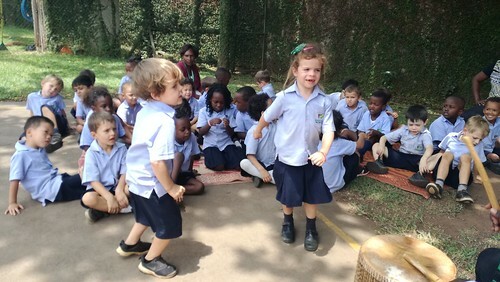 In so doing, everyone gets over that innate fear of performing in front of others. 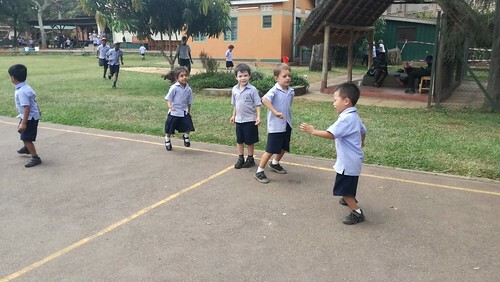 The bottom line is, everyone is happy.